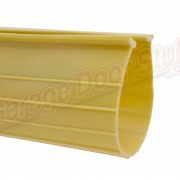 Slides into a single track on the bottom of the door or shutter. Common to many different brands of mini warehouse rolling doors. All lengths are 2” min. longer than size listed to allow for a perfect fit. 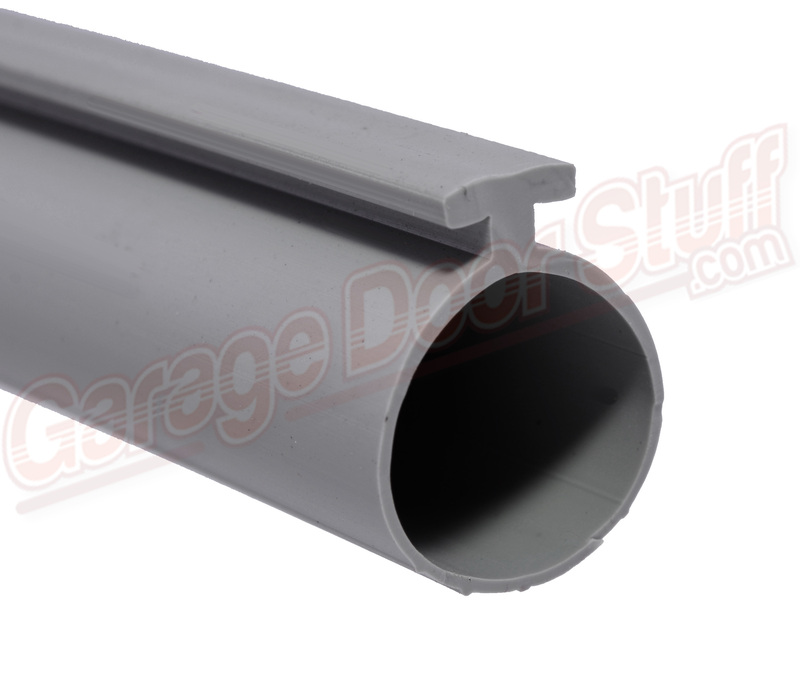 We also carry a 7/16″ T style mini warehouse seal typical to Wayne Dalton Brand mini warehouse doors. Very easy to cut with a sharp utility knife. Measure the width of the T, that is the key. 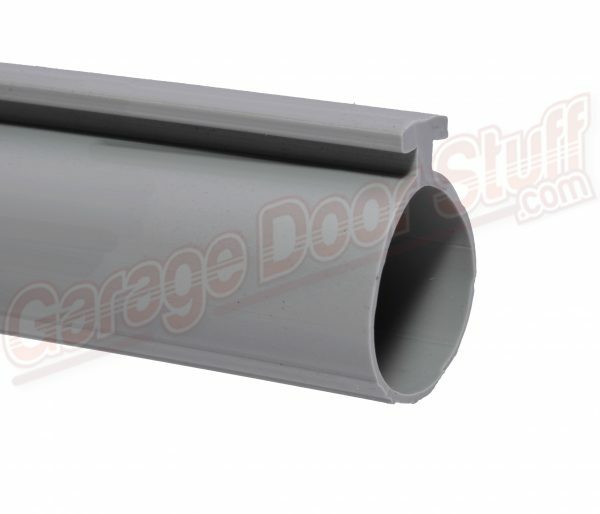 There are several different T widths used by various door manufacturers. 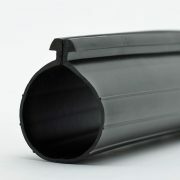 This product is available in up to 200′ continuous rolls. 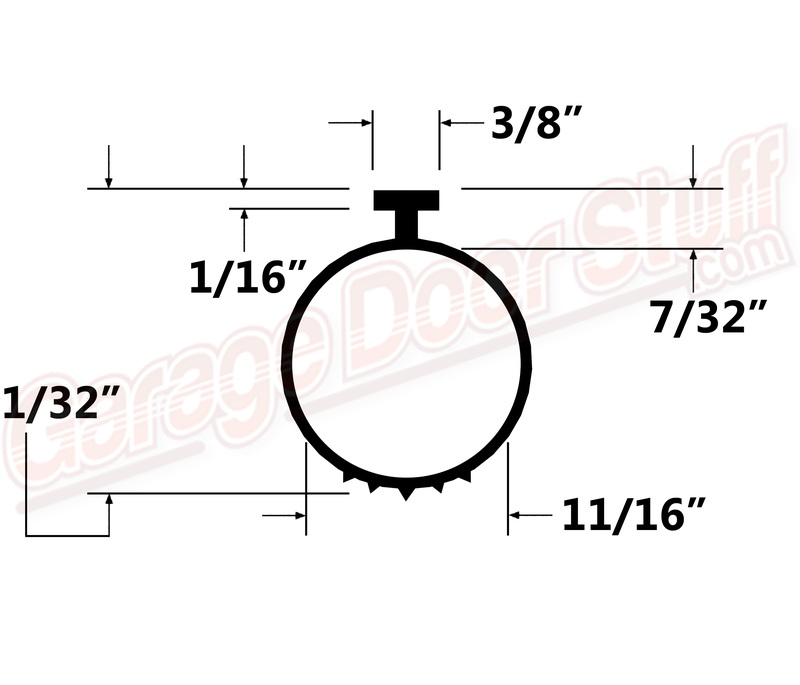 See line drawing for detailed measurements of this weather seal. This is considered a specialty bulb seal, we do carry other options in a bulb type weather seal, however, this is the only 3/8″ T we currently stock. 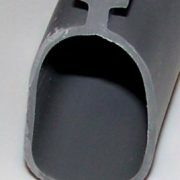 Remove old weather seal, you may have to open the ends of the retainer, it may have been “pinched” to hold the existing weather seal in place. Slide out the old seal and clean the retainer and the bottom of the door. Look over the retainer and correct any issues, that is usually a simple matter of straightening the channel and removing any debris. We use a lubricant such as WD-40 to help slide the new seal into the retainer. It helps to have two people, one to guide and funnel the weather seal into the retainer, the other to gently pull the weather seal. You do not want to stretch the seal, you want the seal relaxed when it is installed. Then cut off the excess and lightly “pinch” the retainer at the ends to hold the weather seal in place. 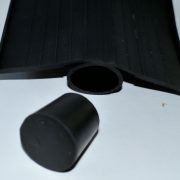 If you have a floor issue that is preventing you from sealing the door to the floor with this type of weather seal, we can help. Replacing or going over the existing retainer with a different type and style of retainer will give you options on the type and style of weather seal you can use.